If you are looking for a fun and exciting summer job, then you have come to the right place! DC Summer Programs Day Camps are the area's premier Christian Day Camps, ministering to hundreds of campers ranging from Kindergarten age through middle school. 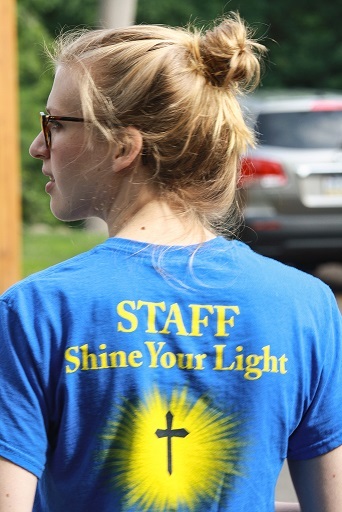 We are seeking staff members who are committed to serving the Lord and prepared to pour their hearts into our campers. If you have a passion for working with youth and sharing the love of Christ, then we will find a place for you on our camp staff that will allow you to use the unique gifts God has given you. Our leadership staff are committed to supporting you in any way possible throughout your time serving with us and beyond. If this sounds like a place where you would love to serve, then take the time to review the job descriptions, prayerfully consider which position you are best suited for and fill out the application. We are praying that the Lord will bless us with an amazing staff this summer and hope that you can be a part of it! Interested in being a camp counselor? Are you 14-15 years old? Learn more about our Leadership Training Program.